We hear time and time again from our clients on how surprised they are at the amount of damage to their vehicles, even after a low-velocity collision. A key introductory fact to auto safety in the last few decades is the crumple zone. Crumple zones are areas of a vehicle that are designed to crumple and crush in a collision, absorbing some of the impact’s energy from being transmitted to you and your passengers. These crumple zones result in fewer fatalities of people, but they also mean more damage to vehicles in low-speed collisions. We have the technology and the expertise to get your vehicle in the best possible condition. As always, with All Makes Collision Centre, your repairs come with a lifetime warranty on workmanship and paint for as long as you own your vehicle. 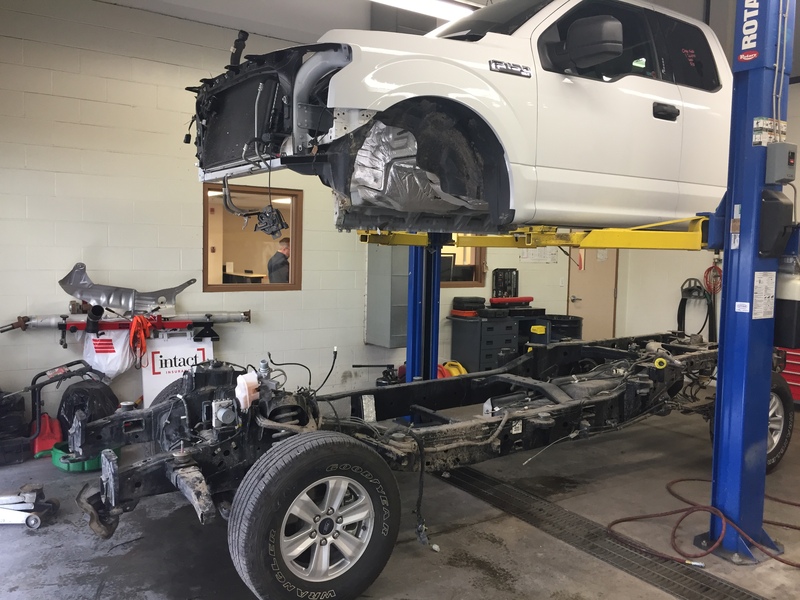 We frequently hear from customers wondering how our frame straightening process works, and more importantly, whether or not they need it for their car or truck. To help resolve some of those questions, we wanted to provide insight into the frame straightening process and why it is so crucial to vehicle owners. Our auto body frame machine is employed to restore the frame to it’s original shape using hydraulics and torque that humans simply cannot do. These machines allow us to pull or push the frame in order to straighten it back to it’s original condition. While some damage to your car or truck only occurs to the body of the vehicle, some damages may be more extensive. If the internal frame of the car is in need of repair, then frame straightening is necessary to get your car or truck back to it’s original shape. This kind of damage occurs in almost half of all accidents, therefore frame machines are an important piece of equipment in auto body shops.